Based out of Minneapolis, Minnesota, Astronomique comes with a soulful brand of darkwave and synth-pop that is simply nostalgic genius! Consisting of band members Logan Andra Fongemie (vocals, keyboards), Sean Hogan (guitar, vocals), Mitch Billings (drums, vocals), and Preston Saari (bass guitar), Astronomique has cleverly crafted a unique sound by the reinvention of elements derived from 60’s psychedelic rock, the energy behind 70’s b-graded sci-fi films, and a deep infatuation for early-80’s post-punk and dark romanticism. The band’s recent single Losing Our Control provides an electrifying testimony of Astronomique’s inventiveness and symphonic creativity. 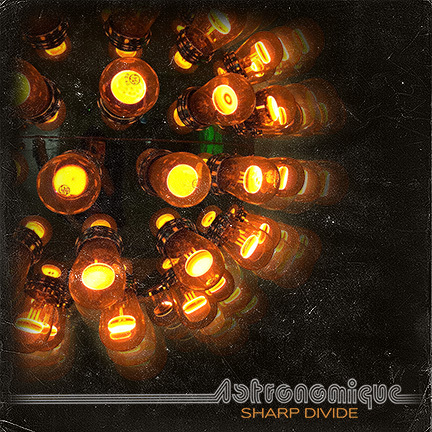 Losing Our Control is the first single off of Astronomique’s debut full-length album titled Sharp Divide. This is a really funky tune that grabs your attention groove first. The dialogue between the bass and rhythm guitar is quite seductive with Logan’s voice as the lead is definitively the icing on the cake. Losing Our Control is love at first sight for music enthusiasts, devotees of synth-pop, and people who love music of traditional high quality. Welcome to the world of the rewind-button addiction! This track has tremendous commercial potential without losing its melodious organic terrain. Thanks to Astronomique, Losing Our Control is the best way to enjoy the music!